The Scottish Labour leader demanded Livingstone's suspension after Hitler remarks. Former London mayor Ken Livingstone should be suspended from the Labour Party, Scottish leader Kezia Dugdale has said. She made the call on social media after a number of Labour MPs issued similar demands for Livingstone to go. 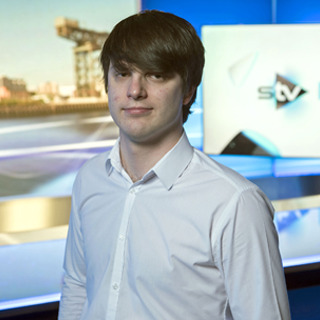 A Scottish Labour Party spokesman confirmed to STV News that Dugdale was called for Livingstone to be suspended from the party. Dugdale condemned Livingstone for remarks made on BBC radio that Adolf Hitler had been "supporting Zionism" in the 1930s before going "mad" by starting the Holocaust. Speaking on Thursday morning, Livingstone said: "Let's remember when Hitler won his election in 1932, his policy then was that Jews should be moved to Israel. "He was supporting Zionism before he went mad and ended up killing six million Jews." Livingstone was defending Naz Shah, Labour MP for Bradford West, who was suspended from the party on Wednesday for allegedly anti-Semitic posts on social media. In 2014, before becoming an MP, Shah implored friends on Facebook to vote in an online poll about the Israeli-Palestinian conflict by saying: "The Jews are rallying to the poll". In the same year Shah reposted on social media a graphic that proposed the "transportation" of Israel to the United States as a "solution" for the Middle East conflict. Shah added: "Problem solved and save u bank charges for £3 BILLION you transfer yearly". Defending Shah, the former Mayor of London said her comments had been "over the top" rather than anti-Semitic. Livingstone has faced widespread condemnation from within his own party since the comments, with a raft of Labour MPs and the party's mayoral candidate Sadiq Khan calling for his suspension. Speaking later, Livingstone said he believed the row over his future would "calm down" over the next couple of days. Asked if he was under pressure, he told BBC Two's Daily Politics: "Not really. I simply said what I believed to be true, which is that Naz is not anti-Semitic." Pressed about his future on Labour's ruling NEC, he said: "Things erupt. They dominate the news for 24/48 hours. People calm down again when they go back and check what you have really said." Livingstone has been a long-time critic of the State of Israel. Zionism describes the movement for the return of the exiled Jewish people to the historical Land of Israel and the establishment there of a modern Jewish state. Although the Zionist movement was founded in the late 19th century by Theodor Herzl, its aims were not realised until 1948 when the State of Israel was founded in the aftermath of the Holocaust. Livingstone has been a leading figure on the Labour left for several decades. He was leader of the Greater London Council until its abolition by Margaret Thatcher in 1986. During his tenure, Livingstone used his office to promote LGBT equality and supported anti-racist and anti-Apartheid campaigns. He served as MP for Brent East from 1987 until 2001 and was the first mayor of London, serving two terms between 2000 and 2008. He ran his first mayoral campaign as an independent and against the official Labour candidate Frank Dobson, an action which saw Livingstone expelled from the party. He was readmitted in 2004, in time for him to seek reelection to the mayoralty, this time as the Labour candidate. 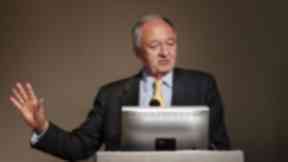 In 2005, Livingstone was condemned for calling a Jewish reporter a "concentration camp guard". Questioned by Evening Standard correspondent Oliver Finegold, Livingstone asked him: "Were you a German war criminal?" When Finegold explained he was Jewish and found the comment offensive, Livingstone went on: "You are just like a concentration camp guard, you are just doing it because you are paid to, aren't you?"